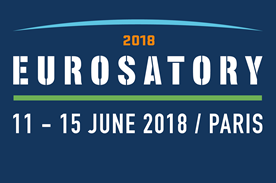 SKB will be attending this year's Eurosatory. The event will take place from 11th to 15th of June 2018 at Parc des expositions in Paris. Eurosatory is the world's largest international land and airland defence and security exhibition. Our goal at Eurosatory is to further strengthen our position in the military and security market and its suppliers. SKB Europe will be present at stand 5a D480. We will be showing our new iSeries sizes and also have our military grade 19” rack cases and roto molded boxes present. It will be our pleasure to welcome you on our stand. Please let us know if you are interested in meeting us and make your appointment now.